« Supersoft Cotton is here! Well I’m thrilled that we are offering our “That’s a Wrap” system in many Costco Wholesale stores this summer! 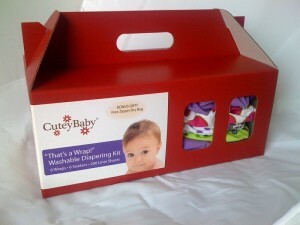 “That’s a Wrap!” has been getting lots of positive feedback, and it’s a really economical option for washable diapering. Plus we have a dozen prints! Yea! Here are the dates & locations of our upcoming shows. We’d love to see you there!!! Please note – this post was from 2011, so we have deleted the show dates below to avoid any confusion. Thanks!